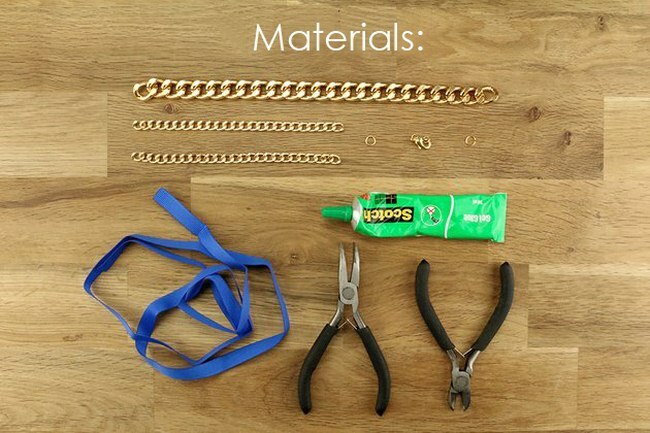 DIY gold chain ribbon necklace to make a statement! 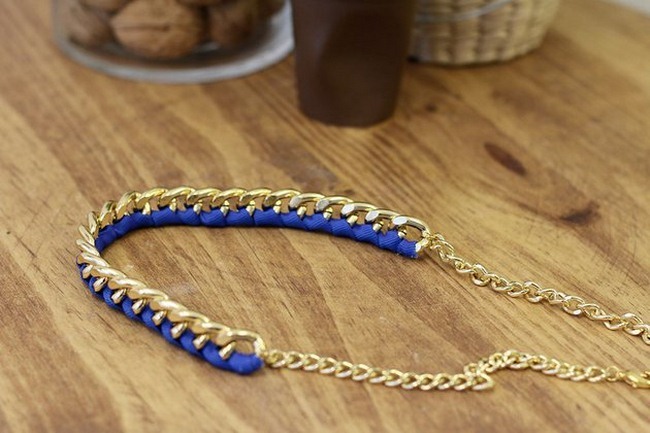 Statement necklaces have been a huge trend for a while now and everybody gets to wear them. They can transform a plain outfit into something special and sparkling but they can be quite pricey, too. 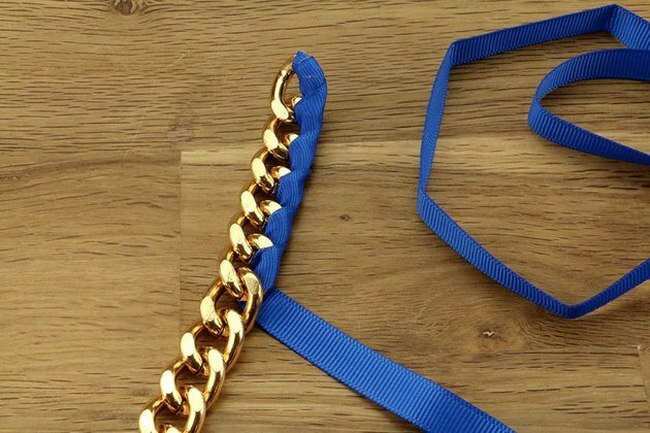 If you are fans of homemade jewelry like us, this idea on how to make a chain ribbon necklace with a personal touch is going to inspire you. 1. First, glue the end of the ribbon to the end link of the large chain. 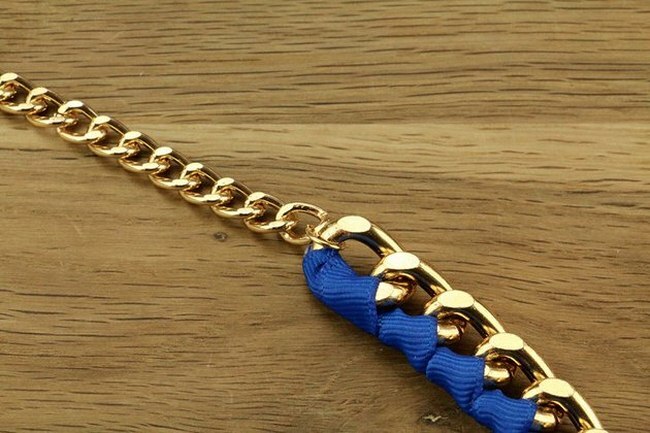 Then start wrapping the ribbon around the chain links on the one side and along an entire length. If you are not sure how to do it exactly, try it first without gluing the ribbon. 2. Glue at the other end when finished wrapping. Let dry. 3. 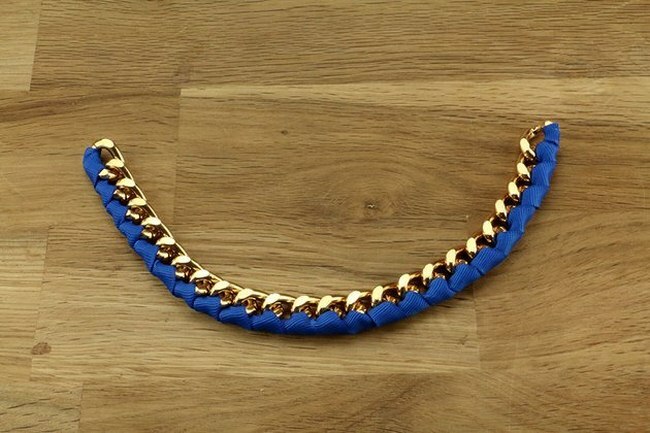 Connect the medium chain on both sides of the large chain by using the jumprings. Use the pliers to open and close them properly. 4. 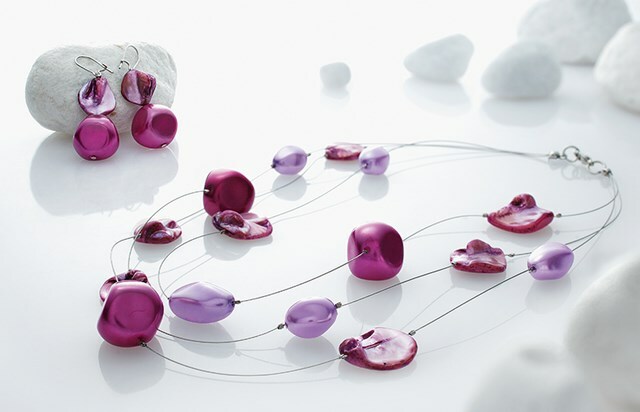 Attach the lobster clasp and the last jumpring to secure the necklace. 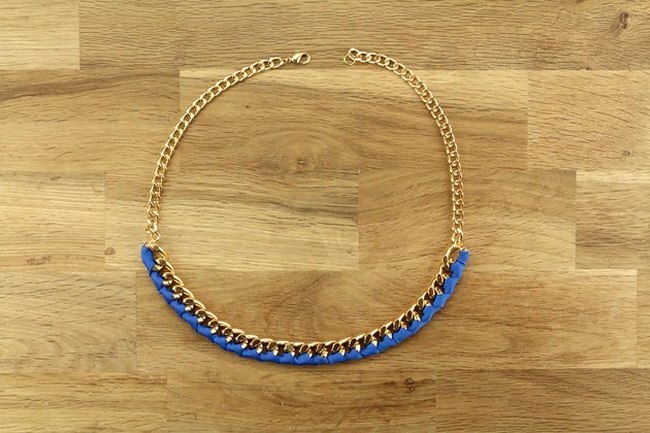 Your necklace is now finished! You can add a second ribbon to add color and experiment with different patterns.